Sound is often thought of as immaterial and while perpetually present – there is no such thing as true silence – it is frequently neglected. A visual experience will commonly be afforded primacy over an aural one. Recently the contemporary arts have turned to sound and in doing so have incorporated a greater spectrum of the senses. If we accept that sound is an encounter with a sound wave – one that has a physical effect on our body – then our attention can turn to the circumstances that produced that sound through the material that produced it. The artists in Material Sound lay this process bare for us. Their artworks invite us to observe and in some cases, participate in, the mechanics of sound production and appreciate the physicality of sound. 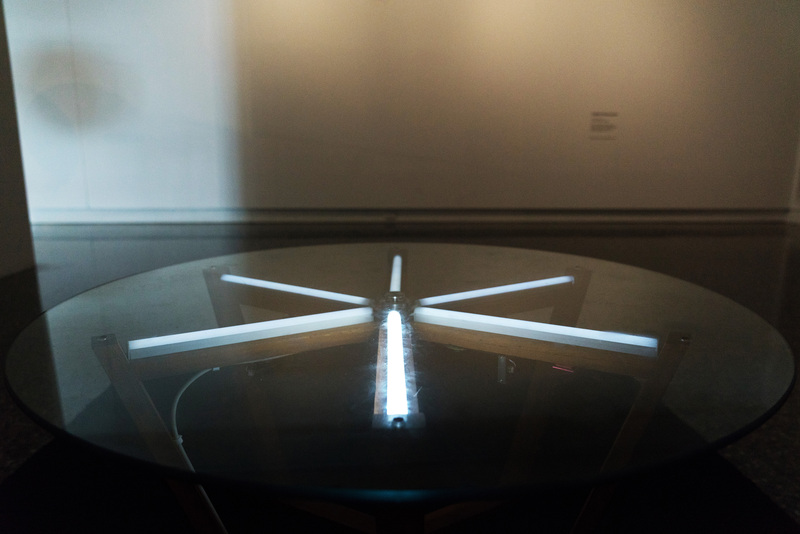 Employing handmade instruments and electronics, recycled electronic components, outmoded or fake technologies, imagined sounds and silence, the works form a series of dynamic installations that challenge the way we think about materiality in a cumulative sound experience. 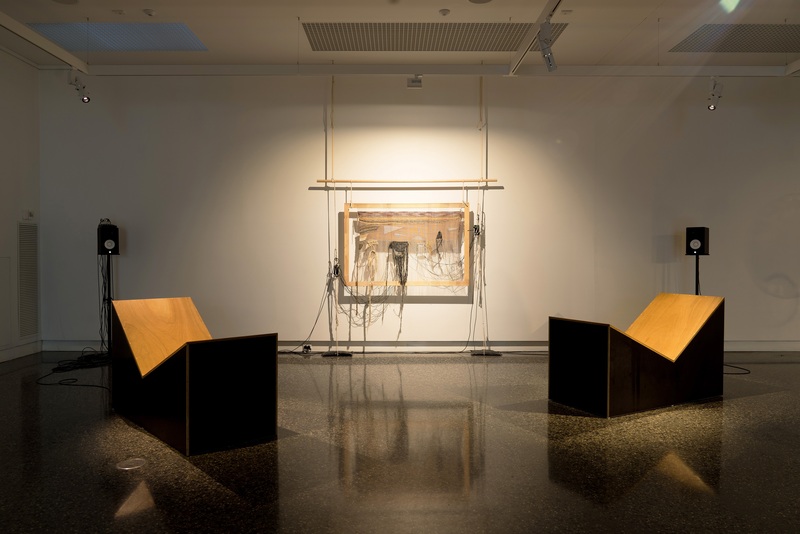 Curated by Dr Caleb Kelly and developed by the Murray Art Museum Albury (MAMA), Material Sound features newly commissioned work by artists Vicky Browne, Pia van Gelder, Caitlin Franzmann, Peter Blamey, Ross Manning, and Eric Demetriou, whose work and practice investigates sound and materials within art and performance. 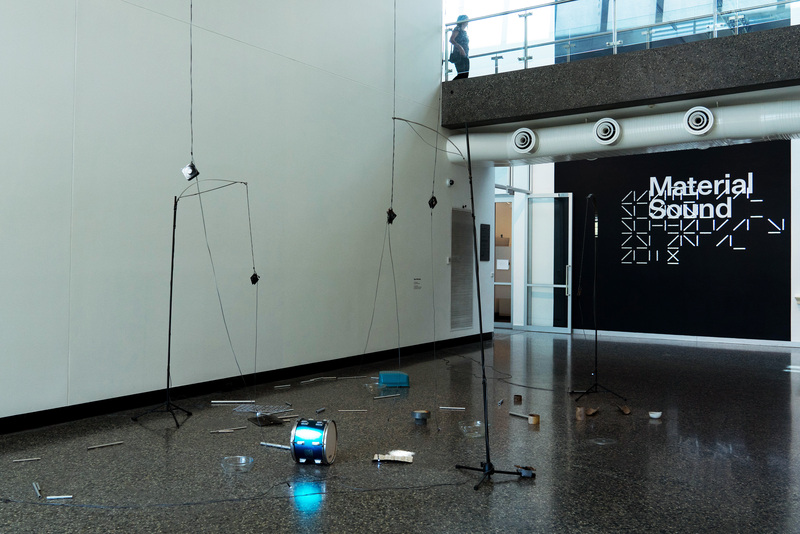 Material Sound has emerged from Caleb Kelly’s ongoing engagement with sound in contemporary practice. 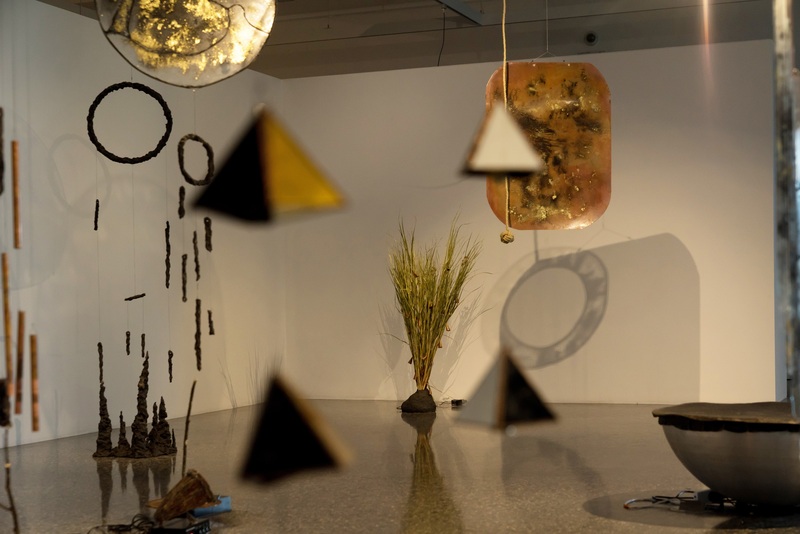 Over a 20-year period, Kelly has developed an acute sensitivity to how sound shapes our experience of art. His research, writing and exhibition projects encourage us to move our attention beyond the visual to embrace a more complete bodily experience of the work we encounter in art spaces. 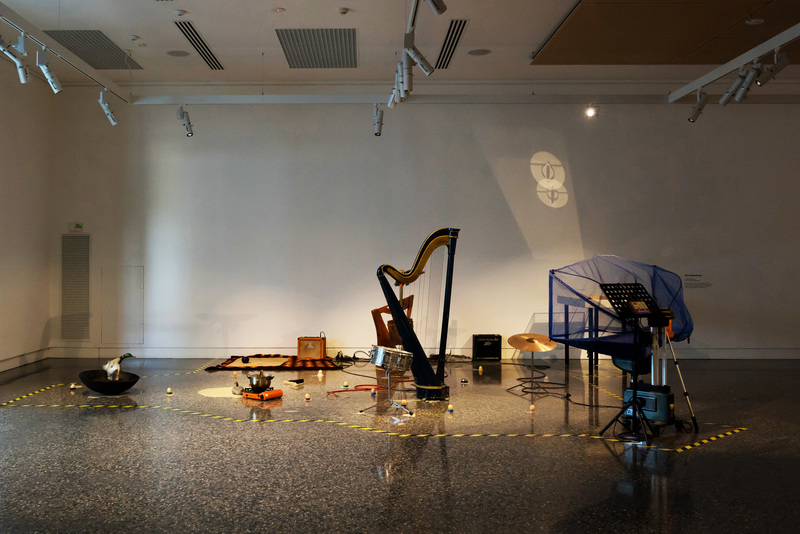 The artists in Material Sound are at the forefront of an international interest in the material qualities of sound and its modes of generation. In Australia, this interest particularly addresses the ecological consequences of the materials we so readily consume and discard. They work in ways that expand our sense of how art is made and how it affects us, how we think about and listen to art. All of the works presented in the exhibition approach material practice in a ‘what you see is what you get’ manner. 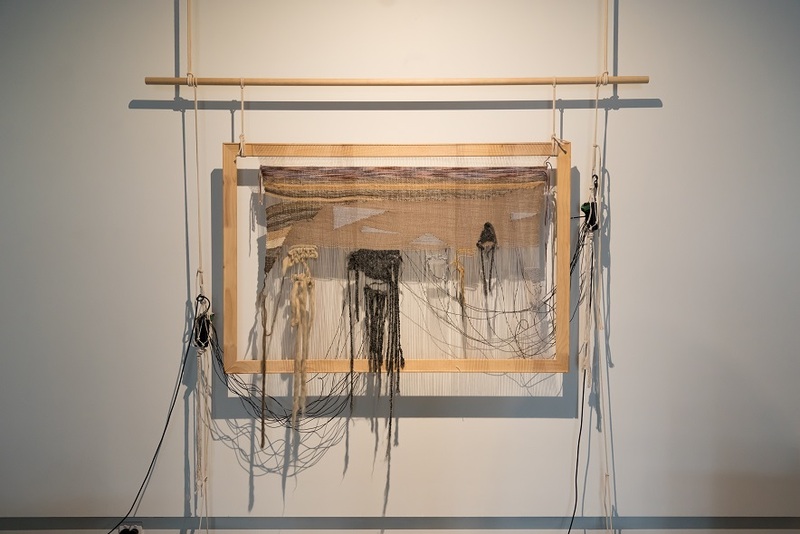 The work develops from a physical engagement with the elements that produce sound and a tactile, hands-on approach to media making. There are no hidden circuits, no black boxes holding secreted away technologies and no obtuse digital coding. These artists have foregone the digital studio. 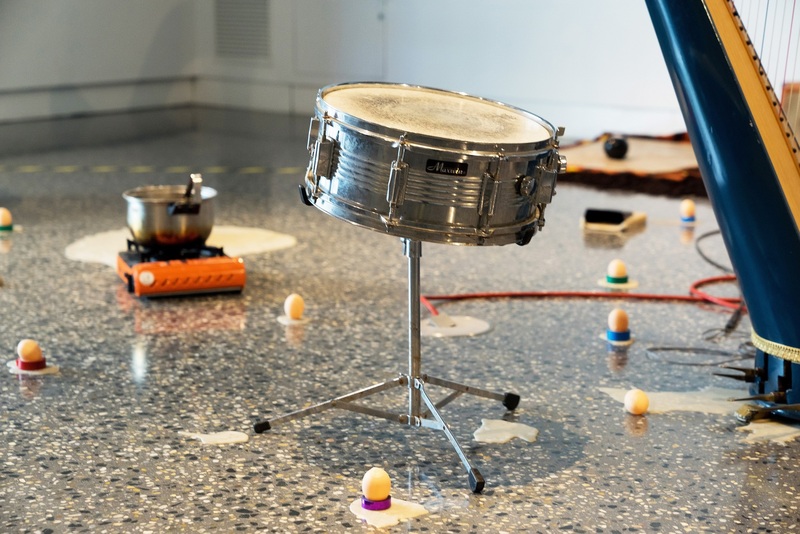 Museums & Galleries of NSW is pleased to be working in partnership with Dr Caleb Kelly and MAMA to present the regional tour of Material Sound. 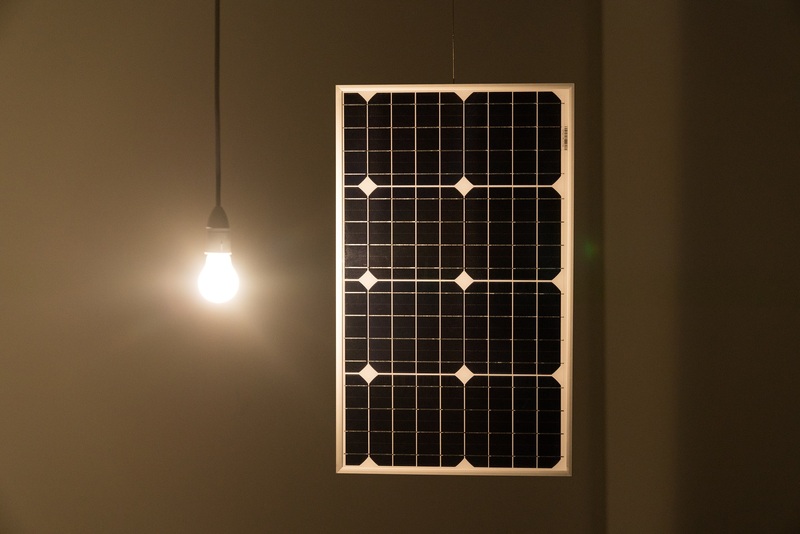 The exhibition was shown at MAMA from 9 February to 29 April 2018 and will also travel to Black Mountain College Museum & Art Centre in Asheville, North Carolina, USA in mid-2019 before touring nationally in Australia from 2020.